When it comes to effective OR management, it is all about maximizing efficiency, surgical growth, and cost saving opportunities. Many hospitals today are evaluating their block scheduling program to accomplish these goals. 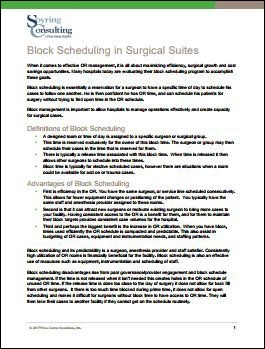 Block management is important to allow hospitals to manage operations effectively and create capacity for surgical cases. Do you have an effective Block Schedule in place at your organization?